Sounds and Vibrations | Different types of Sounds | How is sound made? What sounds and vibrations you hear everyday? You live in a world filled with full of sounds. Following are some of the sounds and vibrations that we hear in our day to day life. Different sounds can give us different information. Sounds are made when objects vibrate. What is meant by vibrating? Vibrating means moving backwards or forwards. 1) If you hold one end of a ruler on the table and twang the other end, you can see or feel the ruler moving backwards and forwards (or vibrating) and hear a sound. 2) If you put some small buttons on a table and bang it with your fist, the buttons will jump up and down, because the table vibrates when you bang it. Everything that vibrates makes a sound. How can we hear sounds? When an object vibrates, the vibration makes the air around vibrate. The air vibrations enter your ear which you hear as sound. Can we see the vibrations? Yes we can, but not always. Are all the objects that make sounds vibrating? If something is making a sound, some part of it is always vibrating. People make many sounds with their voices. Your voice comes from your throat. How can you feel your throat vibrating? Put one hand gently on the front of your throat and hum. You can feel your throat vibrating. How do people make sounds? This happens under the human respiratory system. 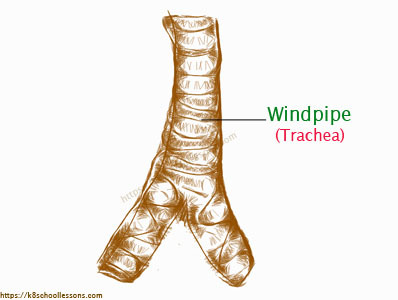 Following parts of the human respiratory system are involved with this. 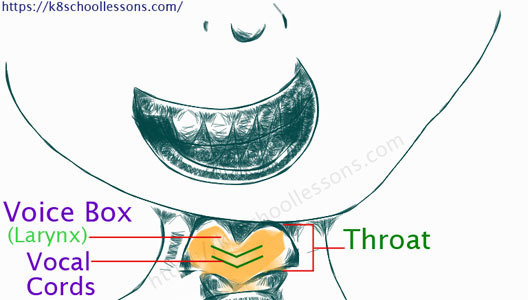 a) There is a voice box inside your throat. 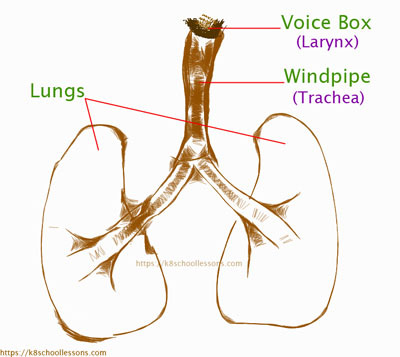 b) This voice box includes folds of muscle called vocal cords. c) When you speak or sing air from your lungs pass over your local cords. d) Then the vocal cords vibrate and make sounds. How can people change the sounds they make? 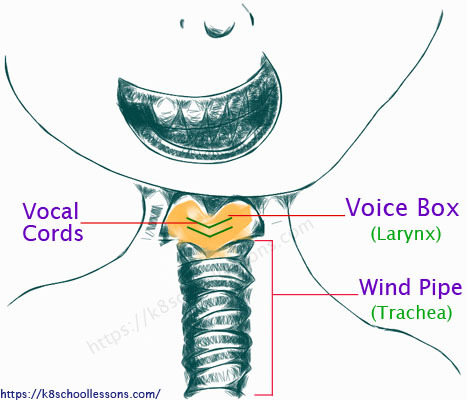 People can make the vocal cords vibrate faster or slower and change the sounds. People change the position of their mouth and tongue to shape the voice sounds into words, so then they can talk. Click here to learn more lessons on sound.